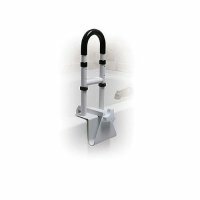 Bath Tub Safety Rail - Parallel Steel Clamp-On . 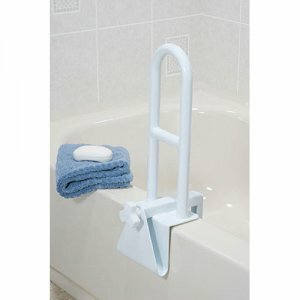 This durable white powder-coated steel clamp-on tub rail can fit just about any style of bathtub. 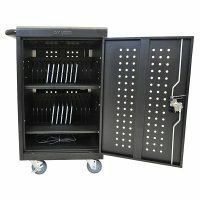 The parallel style can adjust from 3"-7" in width making installation a breeze. Sturdy handle design and a stainless steel locking mechanism both provide added security, while non-wearing rubber pads ensure the product will not scratch your tub's surface. This product features tool-free installation and is not for use on fiberglass tubs. It comes with a limited lifetime warranty. Adjustable Clamp: 3"-7"; Product Weight: 6.4 lbs.